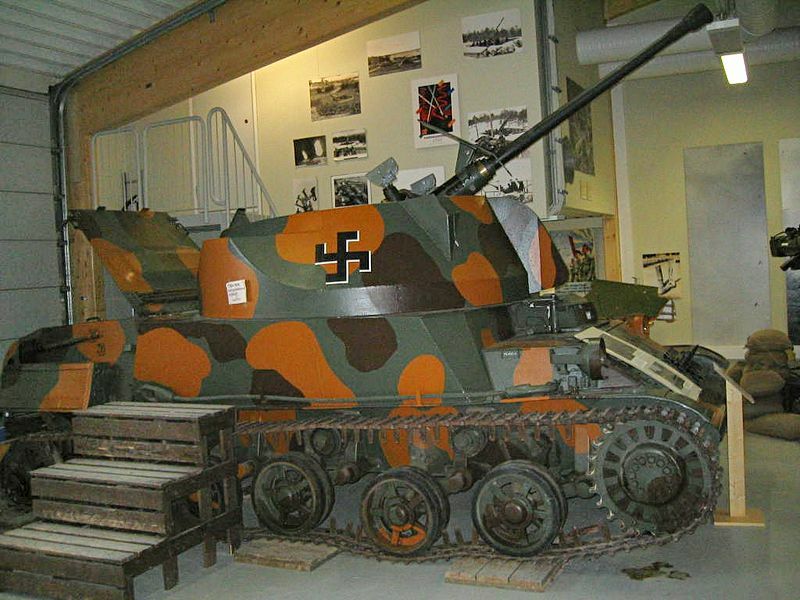 One of the earliest examples of a “Flak Tank”, or tailored anti-aircraft tank, was in service in 1941, based on the earlier and very innovative Swedish Luftvärnskanonvagn L-62 Anti II tank. 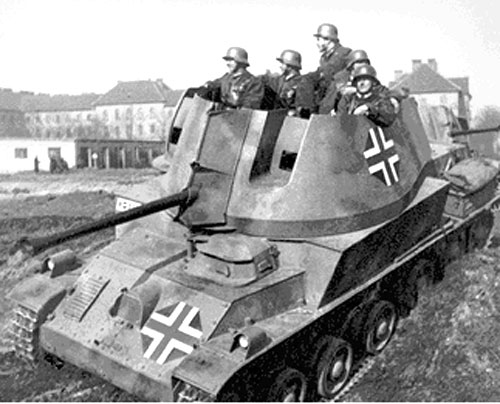 The Anti II was originally built by Landsverk for Finland in order to help fend off Soviet airplanes on the North-Eastern Front, and was based on the Stridsvagn L-60 chassis, and six were used as the ItPsv 41 during the war. The licence was purchased by Hungary, which built it’s own variant based on the Toldi chassis. 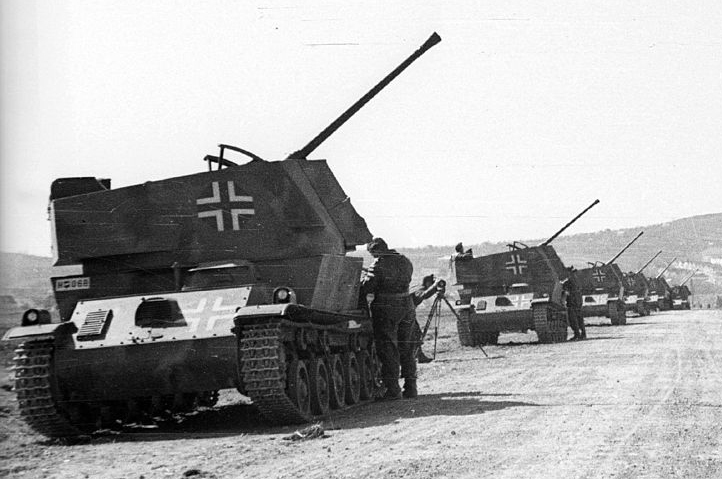 These vehicles appeared just before the first tank-based AA vehicles emerged in the German Army (and perhaps influenced them), and had similar capabilities to the Flakpanzer IV/3.7cm FlaK “Ostwind”. 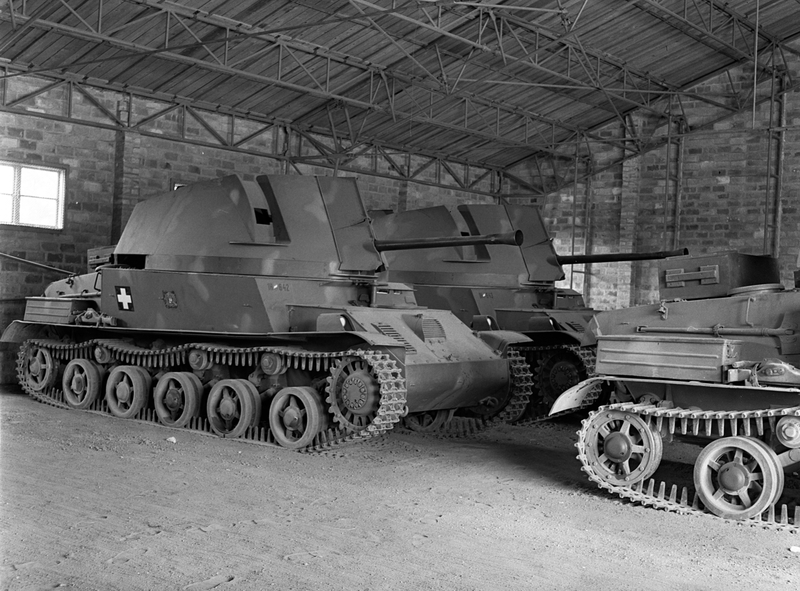 SPAAGs became common place in the later years of the war and were a familiar class of specialized vehicles during the Cold War. 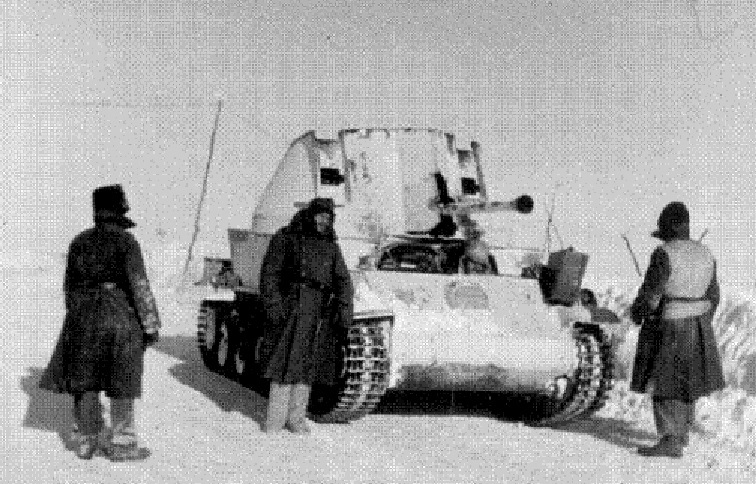 The 40M Nimród was based on the chassis of the licence-built 38M Toldi tank, using parts originally made for the Swedish Landsverk L-60B light tank. Engineers stretched the original chassis to accommodate a large and sturdy platform for an open top turret, large enough for the 40 mm (1.57 in) Bofors gun and crew. 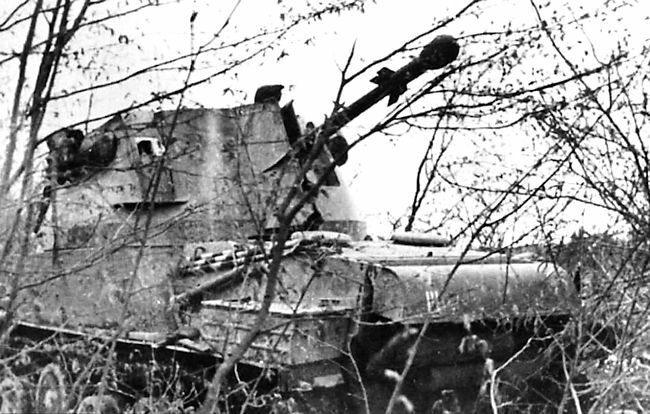 The crew of 6 comprised the commander, driver, but also two loaders and two gunners located inside the turret. The latter was fully traversable, and its large fixed walls were sloped in order to maximize protection against small arms fire. However, it offered little protection against shrapnel or any kind of larger shell. 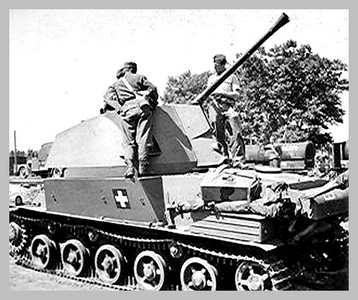 The 36M 40 mm (1.57 in) Bofors anti-aircraft gun, also made in Hungary under license, was to be used, as envisioned in 1941, both for AA defense and against tanks. It fired anti-aircraft ammunition and Hungarian AP anti-tank rounds with a rate of fire of 120 rounds/minute. The AP rounds could penetrate 46 mm (1.8 in) of armor at 100 m (110 yd) and 30 mm (1.18 in) at 1000 m (1100 yd) and carried 160 rounds in all. 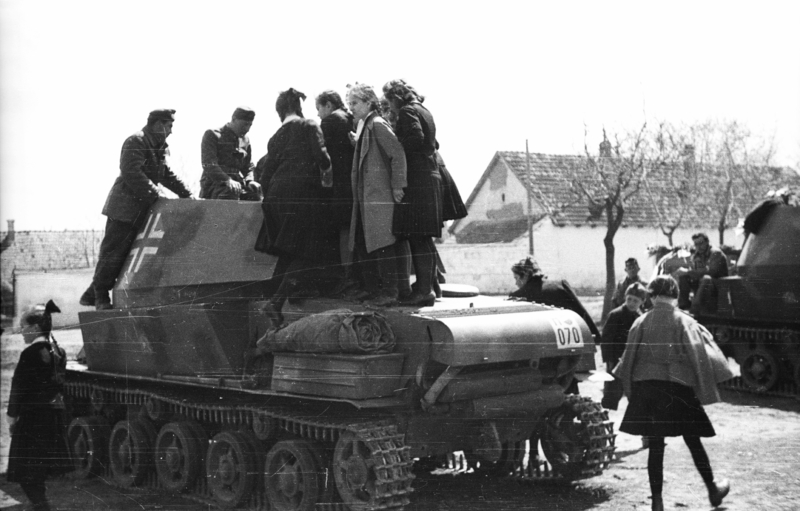 Manufacture took place at Manfred Weiss Works, which delivered a first batch of 46 vehicles propelled by a German Büssing-NAG L8V/36TR (40M series I) engine. 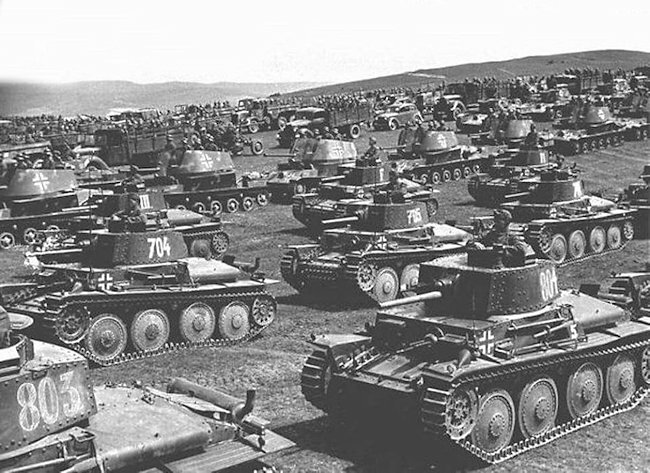 It was followed by another batch of 89 vehicles using a Ganz IP VGT 107 Type II engine, licensed from Büssing-NAG in 1942-43. By 1944, surviving vehicles were issued with the 42M “Kerngranate” round, a massive rocket grenade with a 15 cm (5.9 in) hollow charge (Igr. 39 Hl/A artillery shell mounted on a fin-stabilized tube). 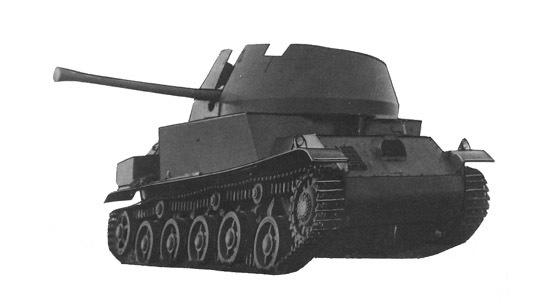 It was fitted over the muzzle and used like a rifle grenade against tanks at close range, capable of penetrating up to 100 mm (3.93 in) of armor. Walkaround of the 40M Nimrod SPAAG at the Kecskemét Air Show 2013. The Stielgranate 41 (stick grenade Model 1941) was a German fin-stabilized shaped charge shell. It was initially designed to be used with the German Army infantry 3.7 cm Pak 36 anti-tank gun to give it better anti-tank performance. This shaped-charge armour piercing capabilities were not dependent on the velocity of the round at the point of impact on the target like with standard armor piercing A.P. rounds, but due to the weapon’s low velocity the grenade was not very accurate. It had an effective range against a tanks of about 300 m. This was a self defence weapon for the crew of the Nimrod.